I have been a cleaner my whole life and have never had a product work this well on toilets and bathrooms. 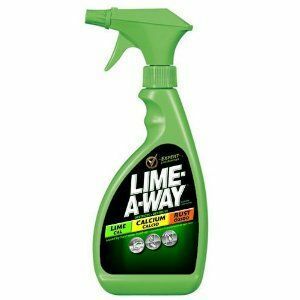 Lime-A-Way is a difficult product to review because it is a multi-purpose cleaner. My experience using this product was solely to remove rust stains caused by iron in my well water. The stains mainly occur in the bathtub. I tried Lime-A-Way and found that it did not thoroughly remove the iron deposits. I had to use a much stronger product to get the job done. However, I have a family member down the street from me who also has well water but has issues with lime deposits. Lime-A-Way does help him to remove the lime deposits in his bathtub. I would say that Lime-A-Way is better than nothing for rust stains, but there are better products for that purpose that work effectively. I would recommend it primarily for removing lime and calcium deposits caused by well or heavily mineral laden city water. Performance Lime-A-Way is most useful for lime and calcium deposits, not iron stains. It effectively removes lime buildup in tubs and sinks. Scent Lime-A-Way has a pleasant scent. It is not too strong or overpowering. I am sensitive to heavily scented products and Lime-A-Way's scent does not bother me at all. The scent is much more desirable than the rust removal product that I use now. We have very hard, calcium-rich and mineral-rich, well water. We have found that this product is a God send and it soaks away eighty percent of what accumulates in our toilets and on our faucets. For just calcium build up alone, we soak in vinegar, but when it's more than calcium you need something stronger such as this product. It takes away almost all the gunky build up so we only have to scrub a little bit to get things looking almost new again with no rings. However, that being said, we use it very infrequently because I don't like all these chemicals being rinsed into our septic system. Performance Gentle soaks away almost 80% of the built up gunk we frequently get in our toilets. Sometimes we have to do a second application, and most times we let it soak overnight or longer. To make it stick to places where it would wash down and not stay where you sprayed it, we mix it with baking soda to make a paste and then just apply. Alternately, you can soak a rag with the solution and then apply the rag directly to the hard gunk. Scent It's not too offensive to me, and I'm chemically sensitive. But I do wish it were completely unscented. I hate to give a low review on a product, but sadly this one did not measure up for our needs. I bought this product hoping it would take away some serious stains we had on a rarely used toilet in our house. This toilet was used exclusively by our grown boys and they would often not clean it for way too long. As a result, it got some serious stains and had to be cleaned more aggressively than the usual toilet maintenance. I tried to use cleanser, but that just wasn't doing it. I thought the Lime Away was going to be really strong because of it's claim to cut through lime, calcium and rust. Maybe our situation was more than the usual circumstances, but I had hoped it would still be able to handle the job. When I used the product, it made very little headway on the stains and left the toilet pretty much the same way as prior to the use. My guess is that this product would work for a 'normal" lime/calcium/rust" type of build up, but if you're trying to do anything more dramatic than that, you'll need to get a product with more strength than this one. Good for rust stains, but smells terrible. I bought this mainly for the big stainless steel sinks I have out in my garage. There are always rust stains around the drains and the faucets. 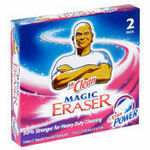 I wanted to see if this product would help me to get rid of them. Lime-A-Way Lime, Calcium, and Rust Cleaner definitely helped the problem. I noticed a huge difference in the amount of rust around the problem areas of the sinks almost immediately. Also, I think that this cleaner helped the stave off the rust from coming back to stain the sinks again. 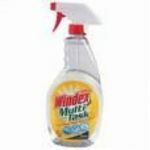 One spray bottle of this cleaner lasted me a long time and it was not too expensive, so I would purchase it again. The only issue I had with the cleaner was the scent. It smelled terrible in my opinion! It was very strong and I hated it. Since I do not use it very often, I will purchase it again, but I wish there was something that could be done about the smell. I do not think that it can be that hard to give the cleaner a better scent that does not burn my nose. This works great for Lime and Calcium but not as well on rust. I bought this originally to use in my shower because of some calcium or limescale spots. I was having to deal with little white stains corroding the metal in my shower. My shower head and faucet system are all made of stainless steel. I don't know if it's my water being hard or soft or just full of chemicals but after a week or so, I notice these white spots all over my faucet system and shower head after I have gotten rid of them. I've used cola a few times in the past and elbow grease but since I bought this product, it truly does work magic. With this, all I have to do is spray a good coating on the area where the spots are and let it soak for a few minutes. Sometimes I wander off cleaning for a half hour before coming back to clean up. Usually there is very minimal scrubbing involved in removing these spots after I let it soak in Lime-A-Way. I've even noticed that when I use this product, it seems to take several weeks, instead of several days, for new spots to develop all over again. A few words of caution are that it doesn't work so well on rust. I notice when I use it on rust, it does get some of the red staining away, but once rust has set in, the item really needs replaced. 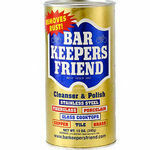 This merely cleans up the stains and doesn't help the rust. Another thing to keep in mind is that this stuff smells bad. It's strong and not recommended for inhalation. I open the shower roof panel and the window in the shower while I turn on the ceiling fan to vent some of the stench out. I've had fits of coughing several times when I wasn't careful not to breathe near this stuff. One final thing to keep in mind is not getting this on your skin and rinsing well. I always take the shower head and spray down everywhere I used this product. I rinse it thoroughly. I am also careful to wear my long gloves when I use this. I have sensitive skin anyway but this is not a product I want on my skin. My guy made the mistake of letting some get on him and he had very minor chemical burns that made him sting and itch for a couple days. Our family doctor told him to just rinse it thoroughly and apply a very light antibiotic cream just in case. I wouldn't let kids use this. It's strong and powerful so be careful and protect your skin and lungs. Otherwise, it works great, just a strong chemical. Performance It eradicates lime and calcium and helps significantly remove rust stains. Scent The scent is terrible and causes me to cough uncontrollably if I am not careful to ventilate the room well enough. Be careful with kids around this product. Lime-A-Way Lime, Calcium Rust Cleaner works GREAT. It's the only thing I have found that will get rid of the rust that gets in my bathroom sink. I guess I have hard water or something that causes rust on the faucet area and the drain part. I tried so many things prior to finding this Lime A Way and I am SO glad I found it! No matter how much I scrubbed or what products I used I could not get rid of the rust and other gunky looking stuff that would build up on my sinks faucet and drain. I saw this one day and figured why not. I sprayed the product on and let it sit for a few minutes. Got my scrub pad and started to scrub it then realized I actually didn't even have to. I just had to wipe it off and all the junk came with it. WHAT IS THIS SORCERY!? I don't know how or why this product works when nothing else does but I'm just fine with it! It has the normal chemical smell to it but it's not the worst. Seriously. Try this product if you have hard water that is causing build up or things to rust. It WORKS. Just spray it on and let it sit for a few minutes. Great at clearing Hard Water scum off of shower heads! Lime-A-Way Lime, Calcium and Rust Cleaner is a must have for cleaning old shower heads. It eats through the rust and calcium build up in nothing flat. I took all the old shower heads off the old house before we moved and soaked them in Lime-A-Way Lime, Calcium and Rust Cleaner for a couple hours, and then rinsed them off and reinstalled them in their proper places. Where it had been a slow, half working faucet before, it was now a full powered shower head that was working at max capacity once more. I wish I had known they were that grimy before I moved because I would have done it so much sooner, and showers would have been so much better for it. It also works wonders at cleaning kitchen counters and sinks, getting rid of the rust stains that sometimes get left behind by metal shaving cans or Brillo pads and things like that. Just spray it on the countertop and leave it sitting for a little while, and then come wipe it away with a sponge and it clears all the rust right up. You can even use it on the tiled shower walls to clear away years of build up in an hour's time. 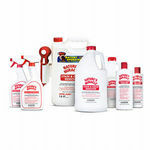 Lime-A-Way Lime, Calcium and Rust Cleaner is a must have for older model bathrooms and faucet fixtures. It restores them to nearly good as new condition. I purchased Lime-a-Way for the first time about 2 years ago. I was struggling to clean our shower (amongst other things) which have limescale spots on them and didn't realise products like this even existed. I was therefore a little sceptical when I used it for the first time but was pleasantly surprised when the product actually worked. It seems to work best in neat form when left on the area needing treating for a few minutes, and then you hardly have to even scrub to remove the offending limescale. It is of course advisable to wear protective gloves during use and I always open a window as I don't particularly like the smell. 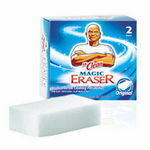 I did once try to use this product in the toilet bowl to remove the limescale ring however it didn't work that well. I've since noticed a Lime-a-Way Toilet Bowl Cleaner designed specifically for this purpose. In short, I'd say this is an essential hourse cleaning product particularly for those of us that live in hard water areas. We have well water at our house that tends to leave rust stains on our toilets, showers, and sinks. We have tried many products, until we settled on this one. This product works. You have to spray it on and let it sit there and then the rust just easily wipes away. Simple. It works. Performance It works, on the toughest stains. Scent This is a strong chemical, and you can smell it. But it works.